FHPCA President and CEO Paul Ledford said, “Floridians are carefully watching the hurricane projections to ascertain the path of Hurricane Irma, and are busy getting prepared for a worse-case scenario. If you are a hospice patient or the caregiver of a hospice patient, please know that all Florida hospice programs have sophisticated emergency management plans to maximize the safety and care of their patients, and mitigate the impact of unavoidable service interruptions brought about by a natural disaster like a hurricane. Hospice programs have tested these emergency plans in table-top modeling, and by practical implementation in simulated scenarios. 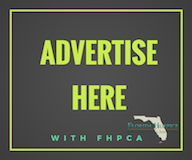 Florida Hospice & Palliative Care Association has published a Hurricane Preparedness Guide for use by hospice patients and caregivers. Please find that guide HERE.